Don't you just love when you had a good idea and then you think of something to make it even better? Last year in Lunch Bunch I made these necklaces with my 7th and 8th graders. It was a project that was inexpensive and much loved by the girls. We made the necklaces and wrote an affirmation from positive quotes we had been talking about in group in the front of each necklace. I think the girls wore them each time we met. 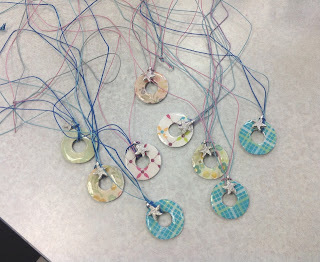 I found these charms at Oriental Trading Company this summer when working on my craft budget for my counseling groups. (25 starfish charms for $6.25) I knew when I saw them that I had to get them. The Starfish Story, after all, is one of most favorite stories and lessons. The theme of Throwing Starfish and Making A Difference is something my girls and I talk about each week. Over the past two weeks we have been working on our necklaces that are their reminder that they can make a difference. When the girls came to lunch, I had all the washers in the center of the table. I had them each take one. They also took a small square of scrapbook paper which I also had precut into little squares. The girls had fun just choosing which paper they wanted for their necklace. 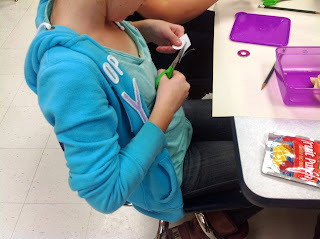 We then used a little Mod Podge and glued the paper onto the non-colored side of the washer. Then they cut around the holes. (A small nail file helps to smooth rough edges.) 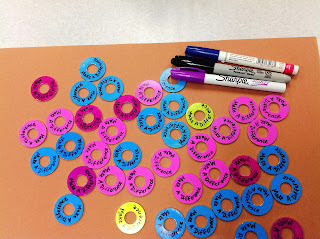 When they were done, I had them write their name on a piece of paper I had on the counter next to the table and put their washer near their name. This was so we could remember which necklace belonged to which girl. The next time we met, the washers looked beautiful. We cut 2 pieces of hemp cord to fit around every one's head and then thread the starfish through to the middle. We tied this onto the washer, added a knot at the end, and the girls walked out of lunch wearing some very special, and very beautiful necklaces. I love watching them walk past me during the week and seeing them hanging around their necks! This is a great visual reminder that they have the power to be the one person to make a difference. I love this and the story with it! 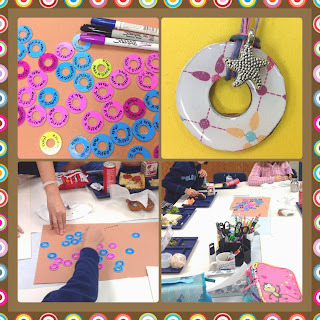 I can't wait to do this with my Junior Girl Scouts! Hi Carol! Just found your blog, and I love it! 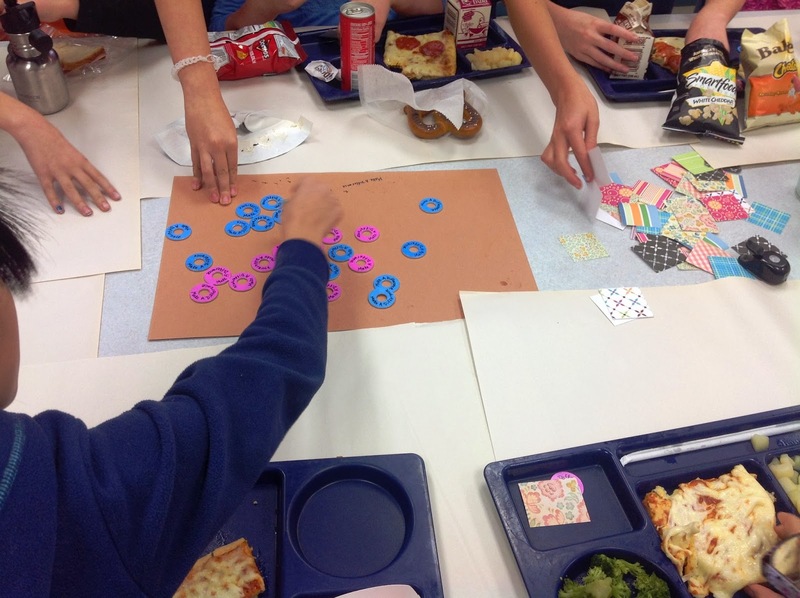 I apologize if you have answered this somewhere else, but how do you choose who is in your Lunch Bunch? 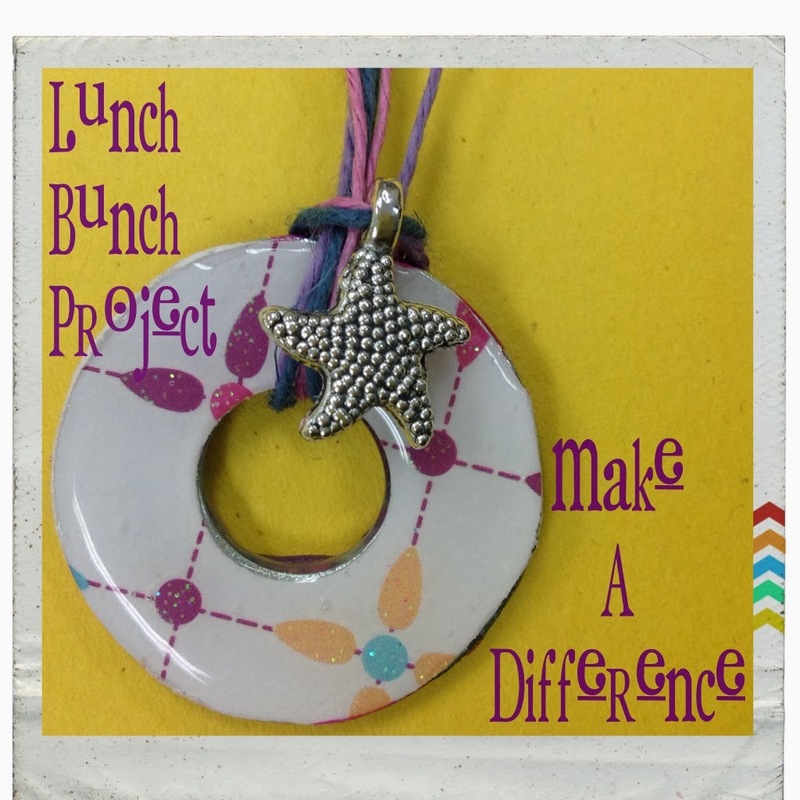 I did your other necklace project with my 4th grade girls last year and can't wait to try this one. Beautiful!